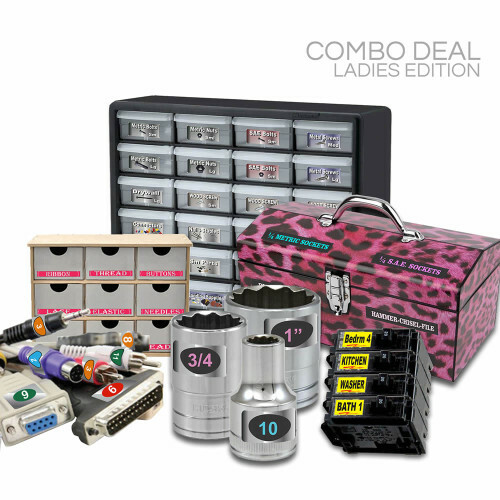 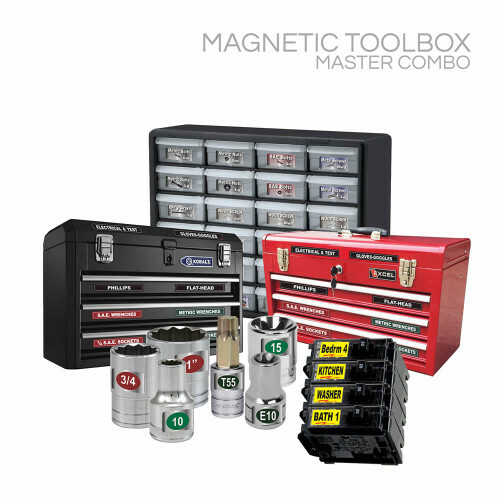 Introducing the all new “Master Adhesive Toolbox Combo”. 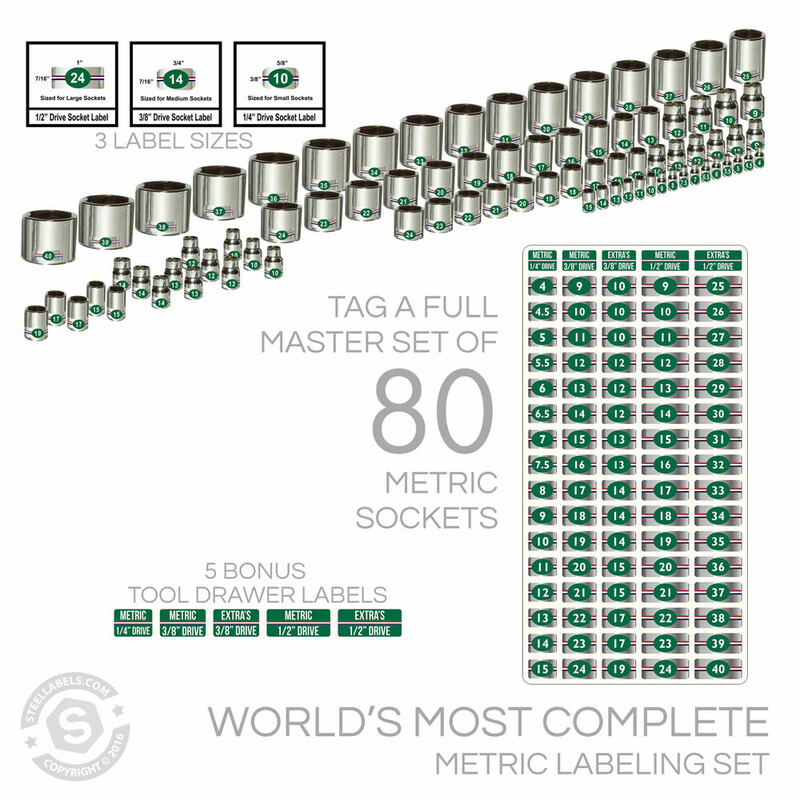 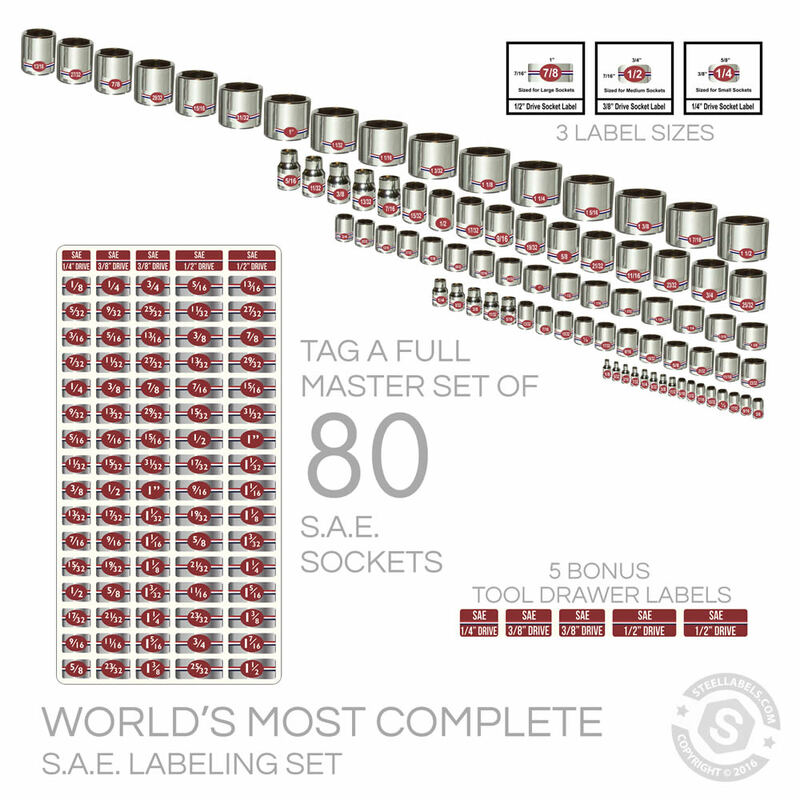 We have taken our top selling socket label combo set and ratcheted it up a notch! 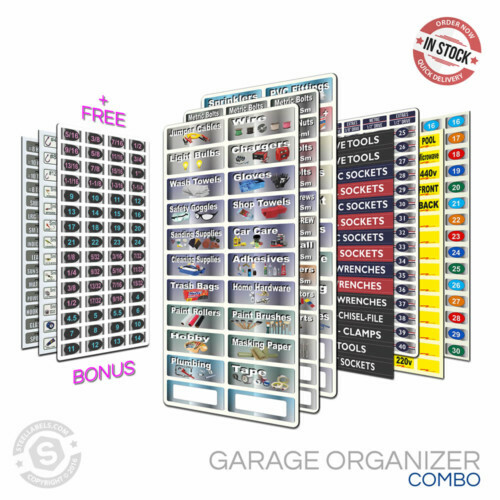 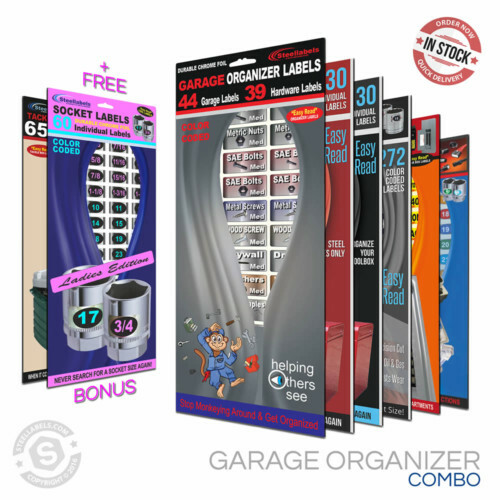 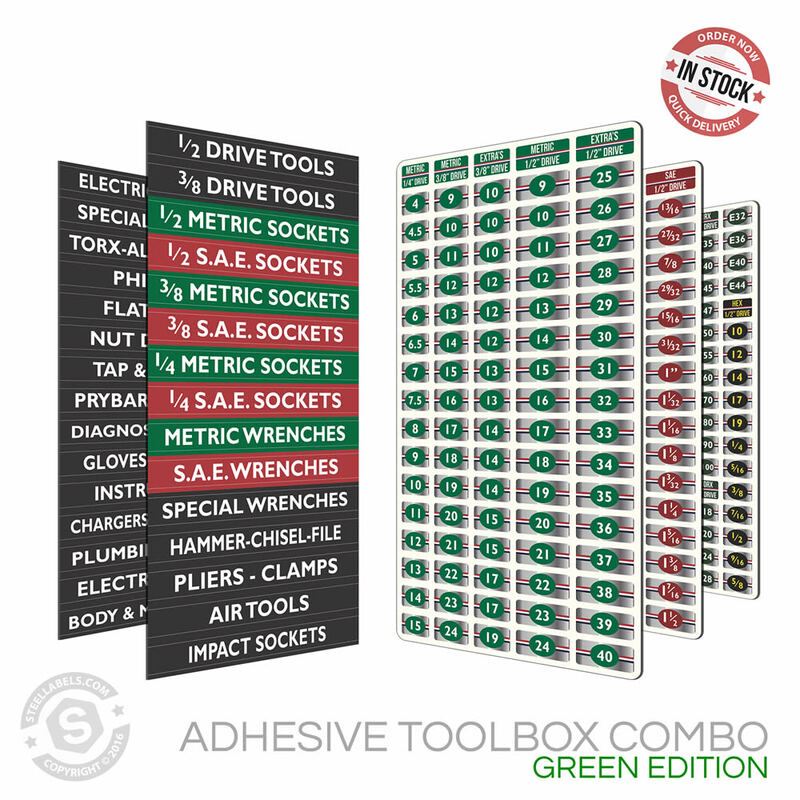 The world’s most complete Socket and Wrench Organizer Label Set with Matching Adhesive Toolbox Label set. 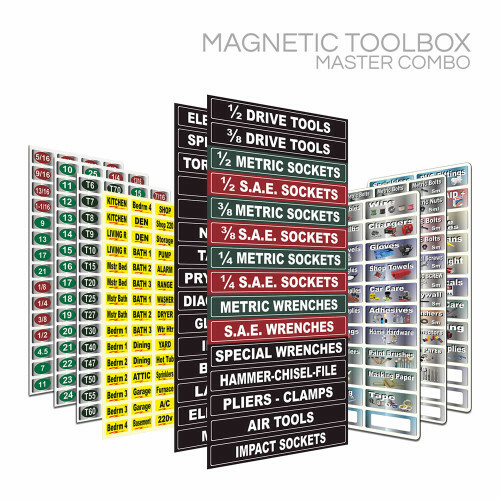 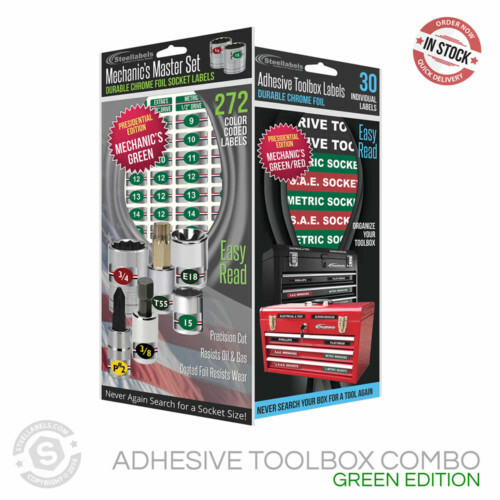 Complete with 272 high-quality chrome foil tool labels to tag all your Metric – Torx – SAE sockets and wrenches and 30 Toolbox labels. Sizes include Small – Medium- Large labels on each sheet, now match the label to the drive size. 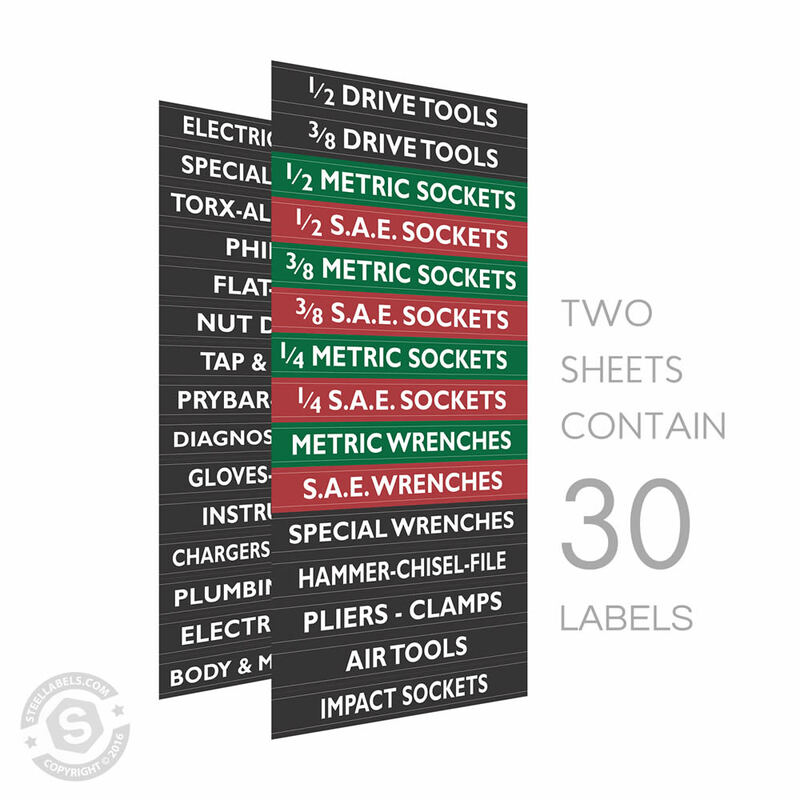 Each sheet is color coded and specialized for each socket type Metric – Torx – SAE , now have separate sheets for socket types. 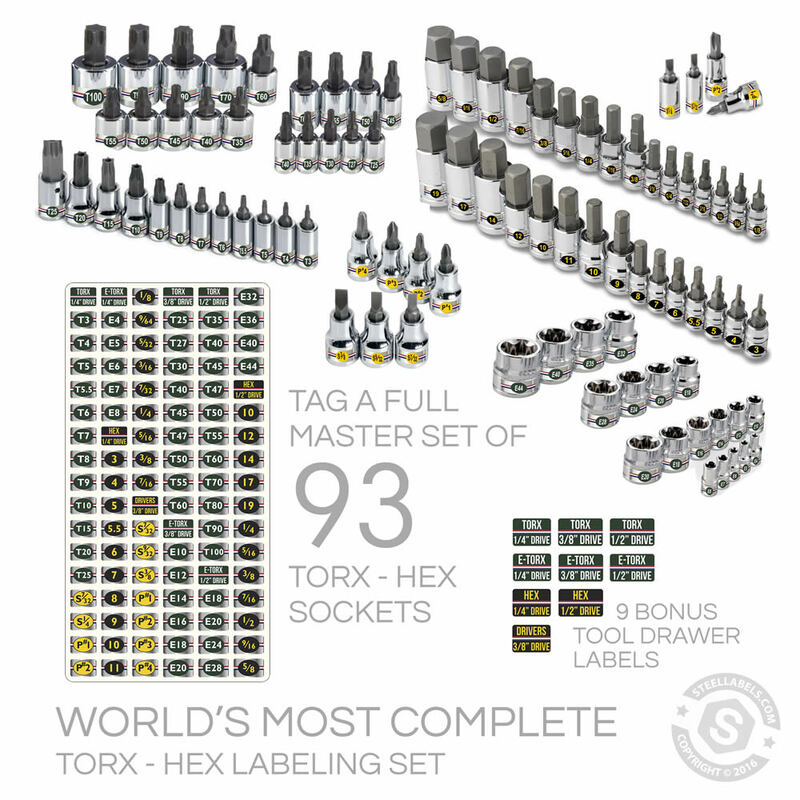 Tag all your existing sockets no need to buy those expensive “Laser Cuts” Now take your old sockets and “Clean em and Tag em”. 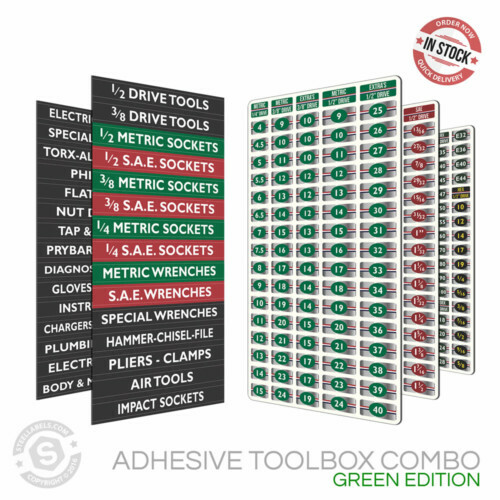 Finally, you can easily read and organize those pesky and tiny 1/4″ drive sockets, now “never search for a socket size or tool again”. 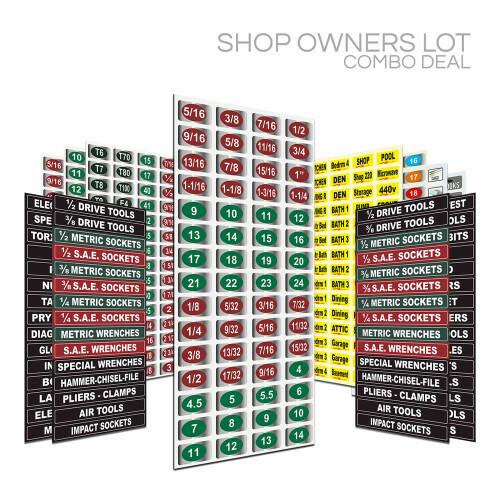 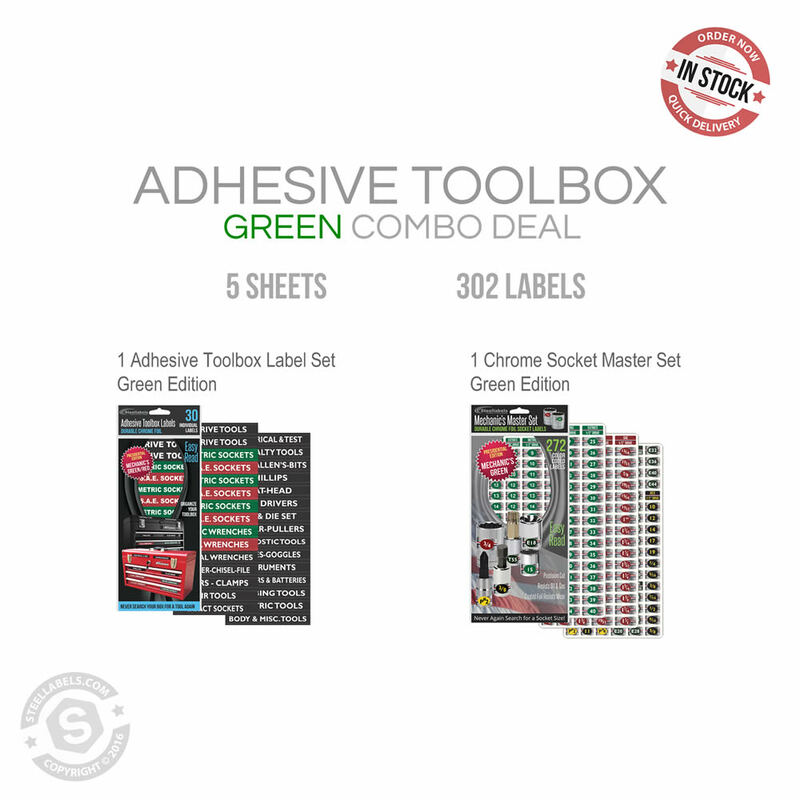 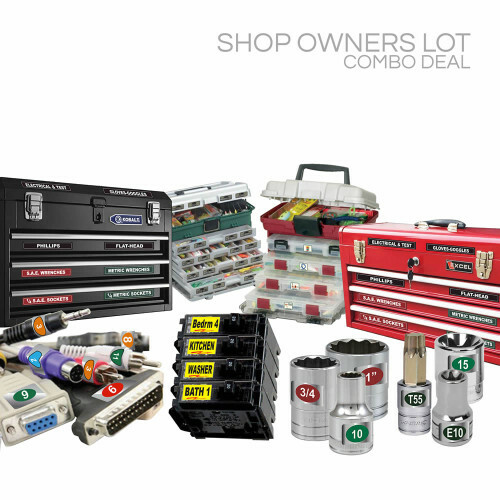 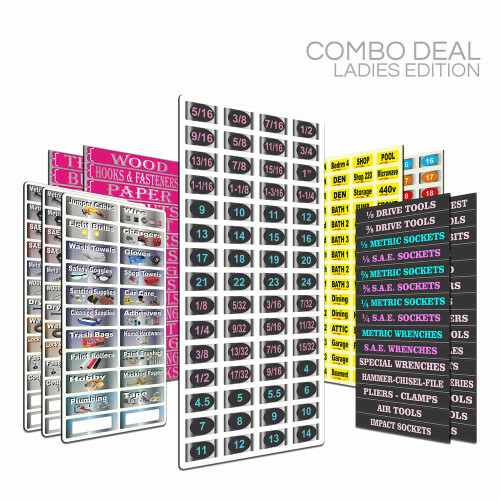 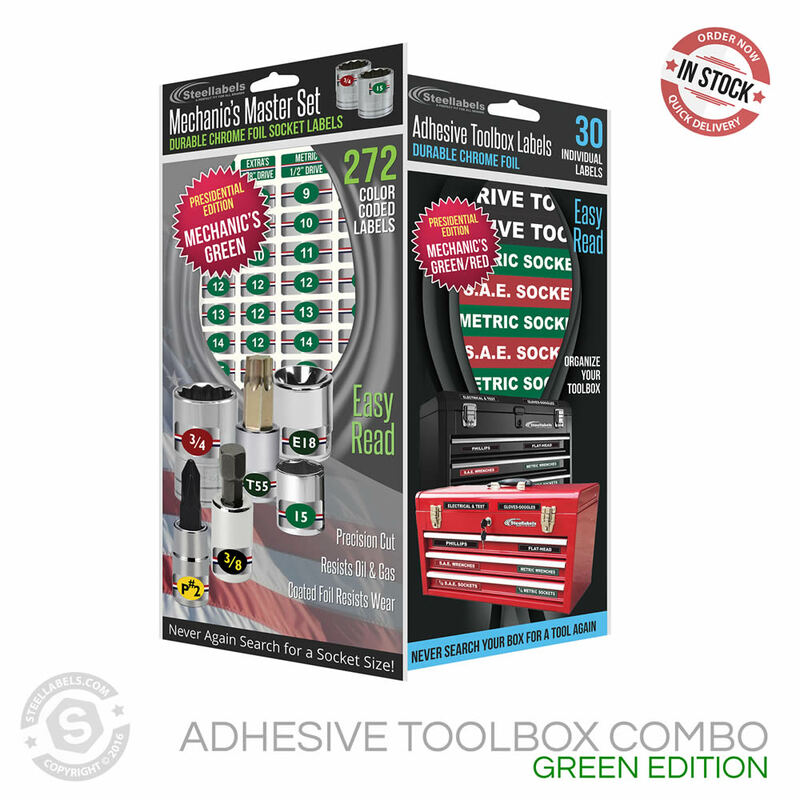 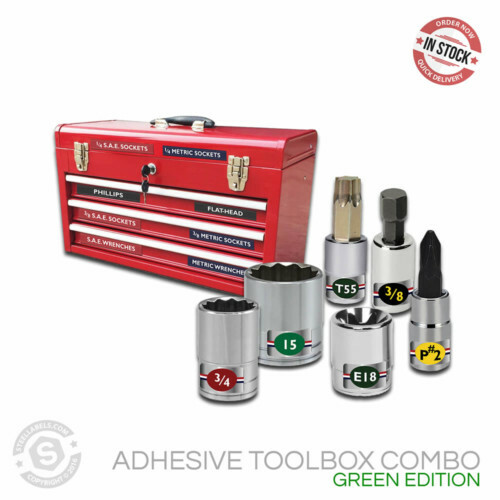 The Adhesive Toolbox Combo Green Edition is composed of (5) sheets, a total of (302) labels.